Our own Tim Daro recently presented at AFS Twin Cities Chapter meeting, The Many Ways to Market Your Foundry, in Minneapolis. 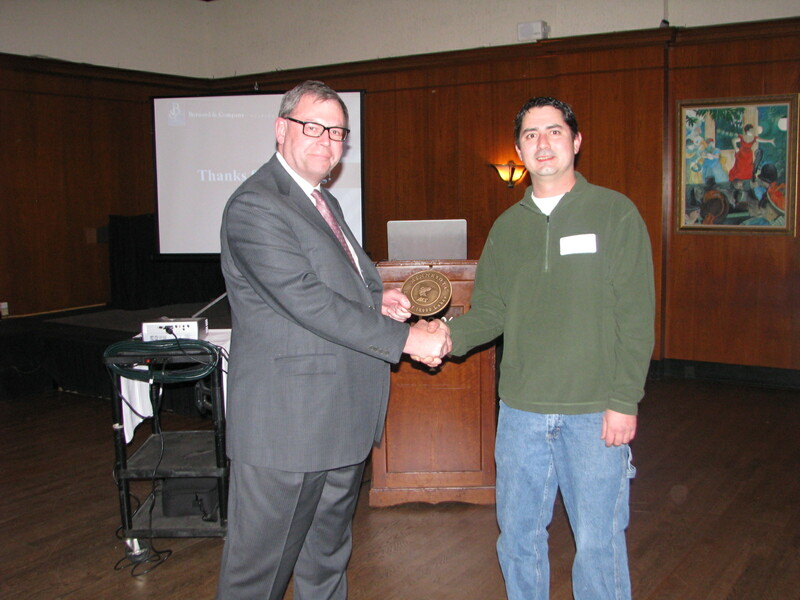 The presentation covered different ways that foundries could promote themselves to current and prospective customers. Topics included “old” methods of advertising (direct mail and trade shows), as well as the new methods of online advertising such as e-blasts, interactive e-brochures, social media such as Twitter, Facebook and especially the targeted LinkedIn groups. Bernard & Company has experience in all these areas, helping industry supplier giants such as Hunter Foundry Machinery and MAGMA, current and past foundry clients, improve their marketing communications. We’d like to thank Joy Clifford and Josh Jaycox at the AFS Twin Cities Chapter for including us in their line-up and for the cool casting they gifted us! No. 1033 is a 500ºC (932ºF) inert atmosphere oven from Grieve, currently used for heating polymer fibers at the customer’s facility. Workspace dimensions of this oven measure 54” W x 36” D x 84” H. 60 KW are installed in Incoloy-sheathed tubular elements to heat the oven chamber, while a 10,000 CFM, 7-1/2 HP recirculating blower provides vertical downward airflow to the workload. 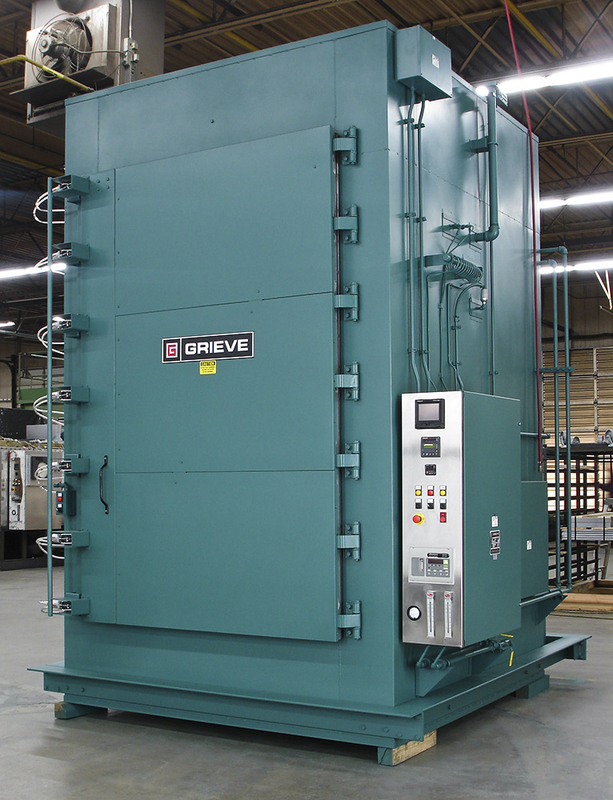 This Grieve oven features 8” thick insulated walls plus an aluminized steel exterior and Type 304, 2B finish stainless steel interior. The inert atmosphere construction comprises a gas pressure regulator, flow meter, pressure gauge, internal high-temperature gasket, all welded expansion connection in doorway throat, air jacket on inner oven for cooling, ½” thick cellular silicone rubber atmosphere seal, blower shaft seal, pneumatic positive latching door hardware, adjustable offset door hinges, outlet with pressure relief, interior seams all welded gas-tight plus all wall penetrations are fitted with compression fittings. A 0-1500 CFM blower pulls air through the air jacket on the inner oven for faster cooling. Controls on No. 1033 include a digital programming temperature controller, manual reset excess temperature controller with separate contactors, recirculating airflow safety switch, paperless event recorder, SCR power controller and trace level oxygen analyzer.